So I sort of have a thing for purple. I use to not care much for any shade of purple, but lately I've become quite fond of it, especially the dusty, grayish hues of purple. 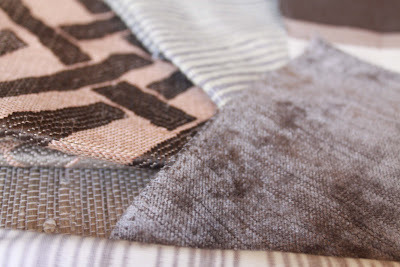 Above are some fabrics and grasscloth that are making up the color scheme for a guest room for one of my clients. I can't wait to get started. Below are some images from one of my favorite designers, Kishani Perera. 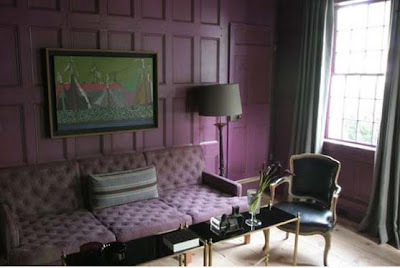 She's known for her moody rooms that often incorporate grays and grayish lavendar tones. 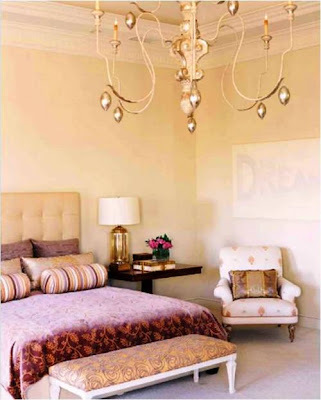 Room by Katie Ridder featured on the cover of the March '08 issue of Elle Decor. 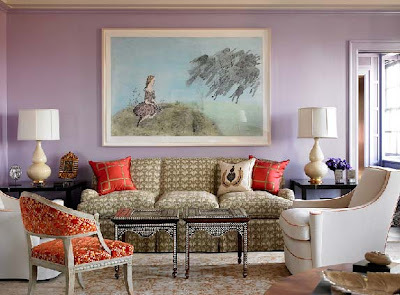 A room in Steven Gambrel's Sag Harbor residence. I think my original turn off to purple was that it could very easily look too cheesy, or too MTV circa 1985, or just not sophisticated enough. 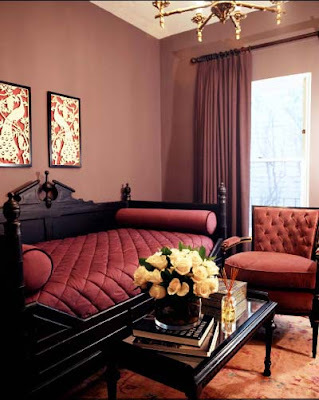 But when used in the right way, with the right furnishings, and in the right shade, I think it's pretty fantastic.